Chilly isn't it. Unless of course you're somewhere divinely sunny and warm and many miles from here. I'm not complaining, winter is supposed to be cold, although it has been a bit of a shock after weeks of balmy temperatures. I saw a bank of primroses blooming today. The biggest boy was in a cross country race over towards Bath this morning, so after we'd cheered him on we all went for a wander. It seemed a shame to drive all that way and not visit. If the photos look familiar it's because I took some similar ones not that long ago, last time we were there. 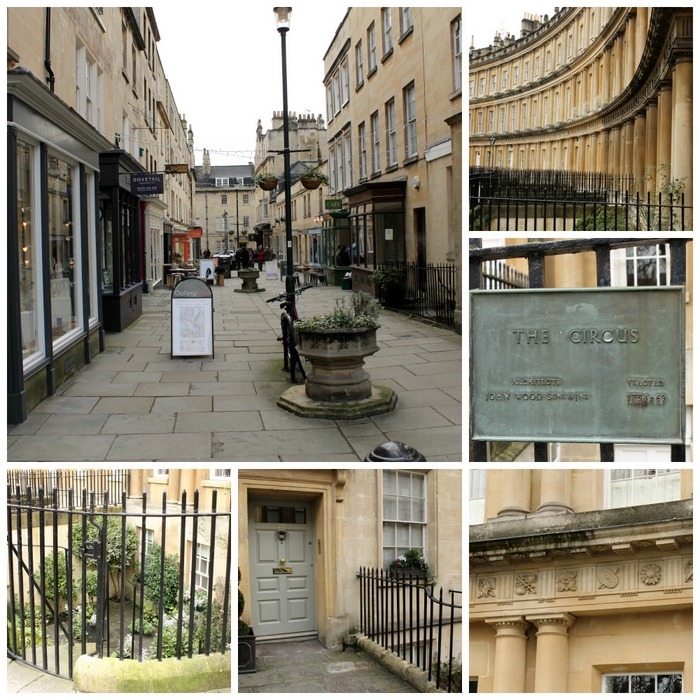 But honestly, it's impossible not to snap away in Bath, there are gorgeous little details round every corner. I have to say it's nice to be home though. I've got the heating on, which is a bit of a luxury, we try not to use it too much, and I'm wondering if I can avoid going out tomorrow. There will be the obligatory football in the morning, but maybe I can stay in in the afternoon. The middle boy is a bit under the weather, so I might get away with it. We shall see. I have a pile of books that is getting bigger every week and a hundred and one other things to be getting on with, it might be nice just for once to stay in. I always like to see cosy fireside pictures on people's blogs, but somehow it never seems to happen around here. I am still on that eternal quest to find more time. I added three books to the reading pile today, honestly, my expectations are wildly unrealistic. Unless of course I win a billion pounds in one of these lotteries I keep reading about, and then I'll be all set. Any wildly unrealistic expectations or ideas with you? Please tell me I'm not the only one. I love Bath. My daughter and I still talk fondly about the two little breaks we took staying in a B&B on Henrietta Street. Hope you can stay in tomorrow afternoon - with the heating on. I used to treat heating as a luxury and we'd all wear lots of jumpers and warm joggers and socks and slippers and dance around to keep warm but it's not good to be too cold. We had the heating working in the cottage today and it was so lovely. I'm reading Claire Tomalin's biography of Samuel Pepys - she is such a good biographer - and I'm alternating it with War and Peace and trying to keep ahead of the TV serialisation, which is nowhere near as good as the novel. I do like a book I can get my teeth into. We never manage to do everything planned. If we did we would be bored. When it comes to reading, my expectations are always wildly unrealistic. I could never leave a library without a giant tower that I'd never get through in the obligatory two weeks. (un)Happily, our teensy local library only has about six books that appeal to me so I have to wait for inter-library loans and that slows the pile down. I would really, really, really LOVE a day where I didn't have to leave the house. I'm desperate for such a day, actually. It's definitely unrealistic to expect it though. 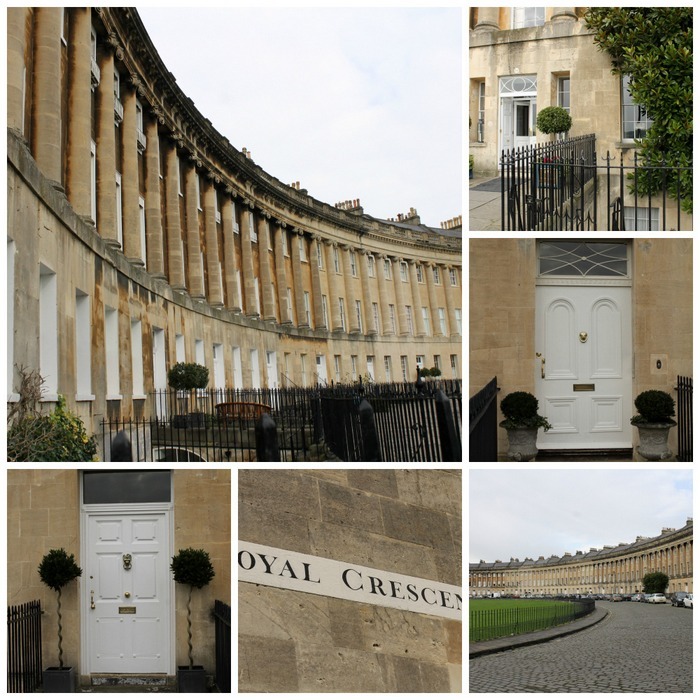 I love your Bath photos, who could ever tire of Bath? I have about 6 books begging to be read...I very rarely get to the bottom of the pile, so you are not alone! It's hard not to take photos of Bath isn't it, it's just beautiful. I had a sort out of books about 4 years ago and made a pile of books to get rid of, but stupidly decided I needed to read them first, hence, as you might imagine I get rid of about a measly 10 a year! That pile will take me about 10 years at this rate! I wonder if football is off with you after all, our games are off due to the snow. Hope you get your cosy day in my the fireside! I remember cross country running. We were forced to run a route across The Downs in our gym skirts and hockey boots. I probably have unrealistic expectations about most things in my life. I probably always will. Although I accept that I'll never get to the bottom of the reading pile. There are eleven books teetering by my bed at the moment. I picked up a book yesterday that had been on my reading pile for about six years. My Mum gave it to me as a Christmas present once and I'd never got round to it. I'd always felt vaguely bad that I hadn't, and I've got a resolution at the moment to try and read all the books I already own before getting any news ones. So I took the book up to the bath with me and thought I'd start it. I read the front which described it as a "harrowing tale" then read the back, which said something along the lines of, "from adored daughter to abused foster child to crack addict" and realised I had absolutely no wish to ever read the book, ever, even though my Mum had given it to me and it's now sitting in the charity shop pile. I feel a little bit Marie Kondo and a like a teeny weeny little weight lifted off my shoulders, ha ha. Last year I converted all my magazine subscriptions to digital because the accumulating unread piles of paper were depressing me. Plus I thought it would make them easier to read, for travelling etc. when I wouldn't have so much to carry around. And what has happened? Well the paper has gone. But now I just have all these numbers flashing up on the screen. Unread issues. And the numbers keep going up..
Good pictures. There was a light covering of snow here this morning. I think that it's good to have a pile of unread books at this time of year. Better to have unrealistic expectations than no plans or aims or things to dream about. Keep adding to that book pile! Staying inside where it is warm and cozy always sounds perfect to me. I just realised that I haven't been to Bath since I was in primary school. Time to schedule a trip. Actually, that is probably an unrealistic idea right there. Back to work! Oh I love these photos! I have always wanted to visit Bath, probably too much Jane Austen. Anyhow, after these photos I'll have to make some time this upcoming weekend for a Persuasion viewing. hehe. Always full of unrealistic expectations here too, and generally its regarding how much I can (or can't) get done in X amount of time. It's tough when you have young children to raise too, but I managed to learn a few tricks to make things easier. Some I put into practice regularly, such as internet grocery shopping which gave me so much more time and saved me lots of money. Not to mention, not having to drag the children out in all weathers! Oddly, adding exercise to my already busy schedule actually made me feel better, even though it was another thing on my list. The feel good factor afterwards, is definitely worth the effort to go and do it in the first place. Not to mention the fact that you are doing something for yourself too. Delegating stuff to the children from a young age also helped make life much easier. Stuff like getting them to rinse their own cereal bowls and put them in the dishwasher, to pulling the sheets and pillowcases off their bed, and wresting covers off duvets gave them a sense of 'it's normal, and necessary to do this stuff' and helped me too. As for that reading pile - I haven't mastered that one. I switched to a Kindle five years ago, wrongly assuming that would solve the issue. It just pushes it to somewhere different. 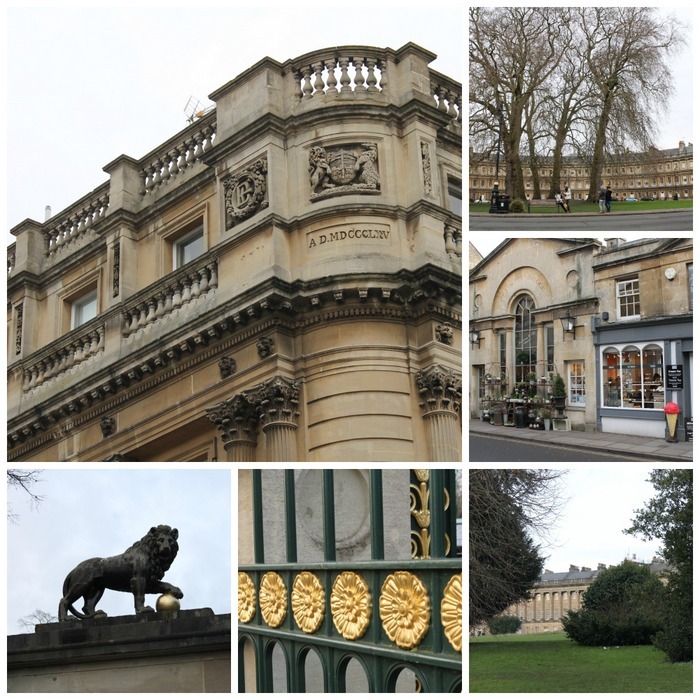 Love your pictures of Bath, I hope to visit this year as I haven't been for twenty five years. I'm glad we're getting some cold weather. It's supposed to be cold and it's a nice change from the rain. I've only been to Bath once but really enjoyed the day.